Through 36MonthLoans.com you can borrow up to $25,000 with just one of our quick cash loans, in a safe and secured environment. 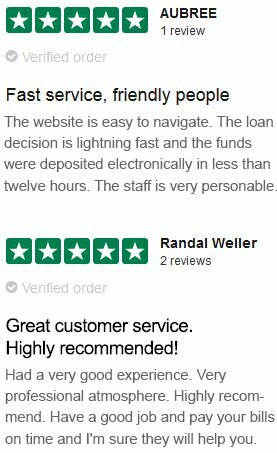 The personal loans you can access through our website are flexible, easy to pay back and great for any situation, especially emergencies. Most of the process occurs online and most of the time the funds are wired to your bank account but depending on the lender you are matched with you may be required to pick up your funds at a nearby branch office. Now you can take care of large expenses or costly emergencies with a bit of help from 36MonthLoans. Fix your Credit Score A great advantage you get when taking out one of our quick cash loans is the opportunity to fix your credit score. With 36MonthLoans you don't need a perfect credit score to get financed but if you make all your payments on time and show you are a worthy borrower, you can effectively improve your credit score. While you don't need a perfect credit score to apply for a quick cash loan, a good score will lead to a lower interest rate. Restructure your Debt Personal loans with lower interest rates such as the ones you can find on our website can be used by people with multiple loans or high interest credit cards to restructure their debt. This basically means that you take out a larger personal loan with a lower interest rate and use it to make a single payment each month that covers the loans or cards. Borrow without Guarantors When borrowing with us you will most likely not have to provide any collateral for the loan because our quick cash loans are essentially unsecured personal loans. The lenders we work with require no assets or property from the borrower as collateral for the loan. The only obligation the borrower has is to make the monthly payments until the loan is repaid in full. Safe and Secured application One of our top priorities here on 36MonthLoans.com is to provide a safe and secured environment for the US borrower. To make sure that all the information collected through our application is secured and confidential we use the latest SSL technology. Home Improvements. Borrow up to $25,000 and use the cash to build the home of your dreams. Use the cash for appliance upgrades, home repairs, landscaping, bathroom remodels and many more. Major Expenses. The larger sum of money you are allowed to borrow with one of our quick cash loans makes it so larger expenses like a new car, medical bills or emergency travel to be accessible. Wedding Expenses. The dream wedding you have planned ever since you were young can be turned into reality if you can find the funds. Up to $25,000 can be added to your wedding funds by tomorrow*, so you can even take care of emergency expenses. Debt Consolidation. One of the most common reasons our people take out personal loans is to consolidate their debt. If you have other loans or high interest credit cards you can restructure your debt into a single monthly payment. Funds for Business. Expand your current business with new equipment, new job openings or even start a new business with a little help from 36MonthLoans.